South Carolina – Len Bilén's blog, a blog about faith, politics and the environment. MLK day in South Carolina. A Limerick. COLUMBIA, S.C.— Hillary Clinton and Bernie Sanders spent Martin Luther King Jr. Day courting African-American voters in South Carolina, laying the groundwork for next month’s consequential primary in the tightening Democratic presidential campaign. (Martin O’Malley was also there). Hillary Clinton celebrated that she no longer had to look at the confederate flag flying over the Capitol grounds. 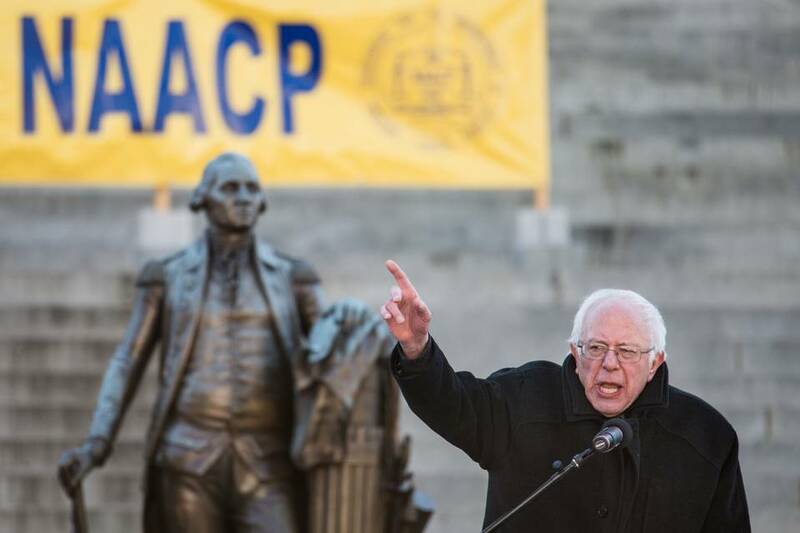 Bernie Sanders gestured widely toward the statue of George Washington. What a difference from MLK Day in Columbia, S.C. 2011!The annual MLK observance at the state house in Columbia SC then had an interesting twist. The event was held on the north side steps of the statehouse. Prominent at that location is a large bronze statue of George Washington. In 2011, the NAACP constructed a “box” to hide the Father of Our Country from view so that participants would not be offended by his image. George Washington shielded from view. Let’s give him his honor anew. Posted on January 18, 2016 Categories campaign, limerick, PoliticsTags Bernie Sanders, Columbia, Hillary Clinton, Limericks, MLK day, NAACP, politics, South CarolinaLeave a comment on MLK day in South Carolina. A Limerick. Taliban, ISIS, NAACP. What’s the difference? A Limerick. 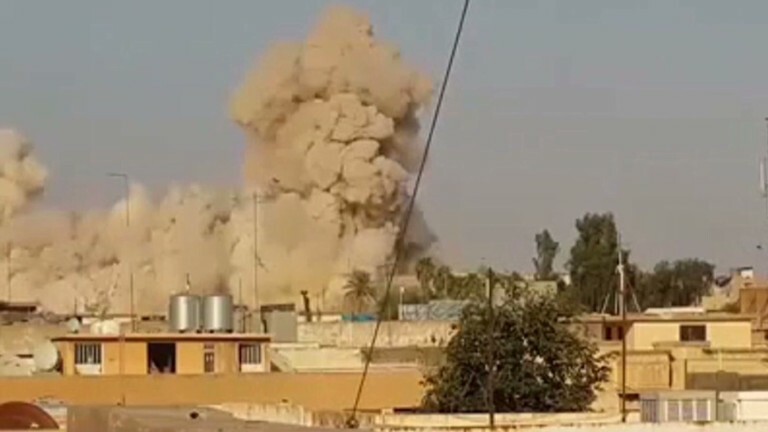 As the Taliban, ISIS are doers. and repeat it as doomsdaying wooers. 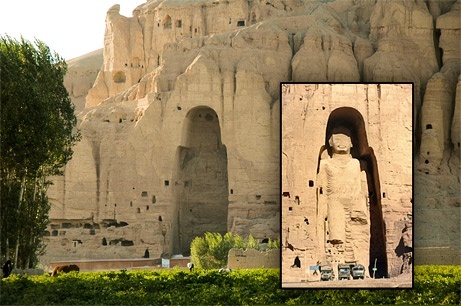 Top: Taliban destroys ancient Buddha carvings. the Jewish tomb of Jonah. Next: MLK day in Columbia, South Carolina 2011. Prominent at that location is a large bronze statue of George Washington. 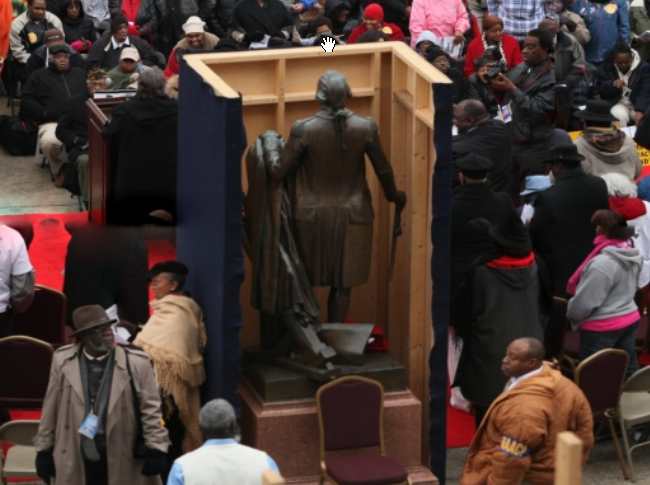 That year, the NAACP constructed a “box” to conceal the Father of His Country from view so that participants would not be offended by his presence. Bottom picture: NAACP proposes to sand blast the carvings of President Jefferson Davis and Generals Robert E. Lee and Thomas J. 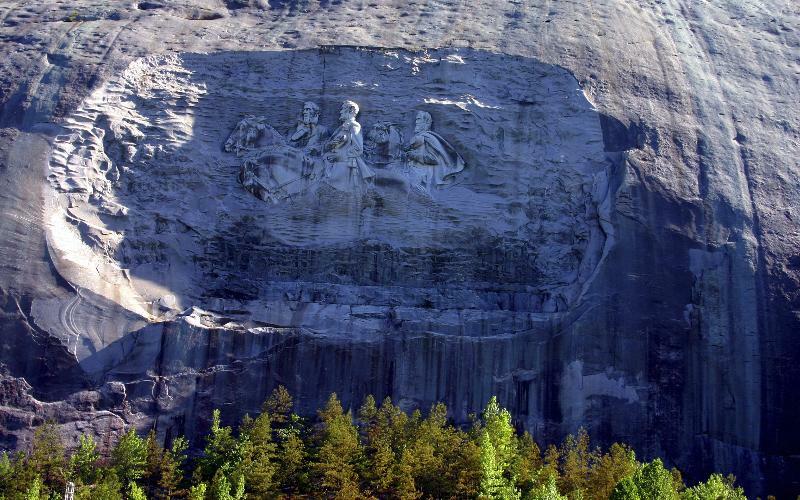 “Stonewall” Jackson from Stone Mountain. but the thought process the same. Posted on July 25, 2015 Categories Christian, faith, limerick, Muslim, PoliticsTags Buddha carvings, Columbia, Generals Robert E. Lee, George Washington, history, ISIS, Islam, Jewish tomb of Jonah, Limericks, NAACP, politics, President Jefferson Davis, South Carolina, Stone Mountain, Taliban, Tomb of Jonah5 Comments on Taliban, ISIS, NAACP. What’s the difference? A Limerick. 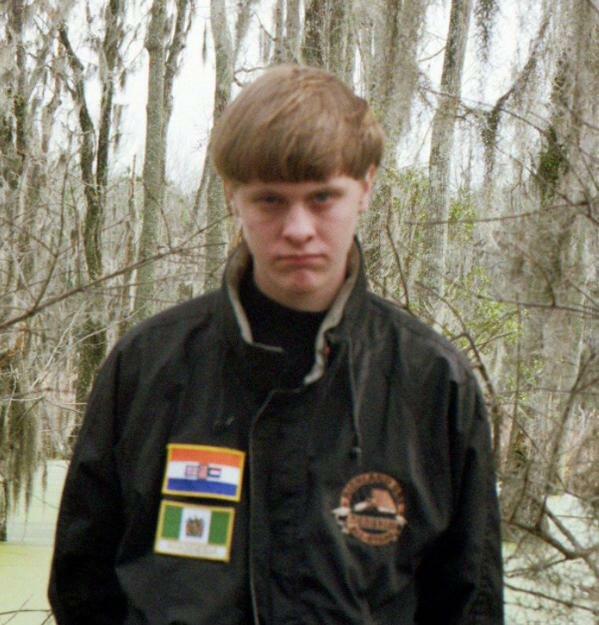 Some thoughts on the horrendous murders in a historic church in Charleston, S.C. Shortly after 9 a.m. on March 13, 1996, Thomas Hamilton, a 43-year-old former Scout leader, burst into the gymnasium of a primary school in the tranquil Scottish town of Dunblane. Within minutes 15 children aged five and six had died in a hail of bullets. One died later in hospital. Their teacher, Gwen Mayor, a 44-year-old mother of two, died in the attack, reportedly while trying to shield her pupils. Two other teachers were also seriously injured while heroically trying to protect children. Hamilton turned one of his four handguns on himself and was found dead at the scene. OSLO — A lone political extremist bombed the government center here on Friday, killing 7 people, the police said, before heading to an island summer camp for young members of the governing Labor Party and killing at least 80 people. The police arrested a 32-year-old Norwegian man, Anders Behring Breivik, in connection with both attacks, the deadliest on Norwegian soil since World War II. Breivik was at first accused of being a fundamentalist Christian, but as the investigation started it was established he was bent on reestablishing Nordic Pride including the Nordic Gods and the time-old traditions. on November 7, 2007, at Jokela High School in the municipality of Tuusula, Finland, a gunman, 18-year-old student Pekka-Eric Auvinen, entered the school armed with a semi-automatic pistol. He killed eight people and wounded one person in the toe before shooting himself in the head; eleven others were also injured by flying shattered glass. Auvinen died later that evening in a Helsinki hospital. A year later, on September 23, 2008, at the Seinäjoki University of Applied Sciences in Western Finland, a gunman, 22-year-old student Matti Juhani Saari, shot and fatally injured ten people with a Walther P22 semi-automatic pistol, before shooting himself in the head. He died a few hours later in Tampere (Tammerfors) University Hospital. One woman was injured. Here are 4 horrendous shooting murders in very civilized and advanced countries in less than 20 years. The population of U.S. is 20 times larger than the combined population of Scotland, Norway and Finland. To have the same frequency of horrendous murders the U.S. should expect 80 mass murders in 20 years, of about 4 a year. The common thread of these mass murders is that they occur in gun-free environments. Obama’s assertion is therefore false, Hillary’s call for action is even worse: Removing legal gun ownership, but ignoring the multitude of illegal firearms, expanding gun-free zones to include whole high crime districts, leaving the illegal weapons possessors to rule those areas. Trust me, it will bring you to tears. Pray! Posted on June 18, 2015 June 19, 2015 Categories Christian, faith, life, Obama, Politics, Sarah PalinTags Anders Behring Breivik, Charleston, Emanuel African Methodist Episcopal Church, Finland, Hillary Clinton, mass murders, Norway, President Obama, Scotland, South Carolina, Thomas HamiltonLeave a comment on Some thoughts on the horrendous murders in a historic church in Charleston, S.C.
Nikki Haley did it again! She had a meteoric rise in the South Carolina Legislature, and her big break came when Governor Mark Sanford had some extramarital incidents and then he and his (ex)wife endorsed her for Governor in 2010. Even with the Sanfords’ endorsements she was mired in fourth place in the polls. Then Governor Sarah Palin endorsed her and it propelled her to first place. She forced a run-off in the GOP primary, which she easily won, and after some planted stories from fellow Republicans Sarah Palin stood by her, and she became Governor, the youngest U.S Governor, female minority to boot. She has done a lot of things right for South Carolina since then, so she won re-election easily in 2014. Her latest feat is snagging the Volvo assembly plant. Haley said the Charleston Port was a deciding factor in snagging the deal. “And they wanted to see a state that was going to care about the business atmosphere, but more than that, a state that was going to have a relationship. Because they wanted to be made in America, and all credit goes to Volvo Cars for saying we want to make it in America. 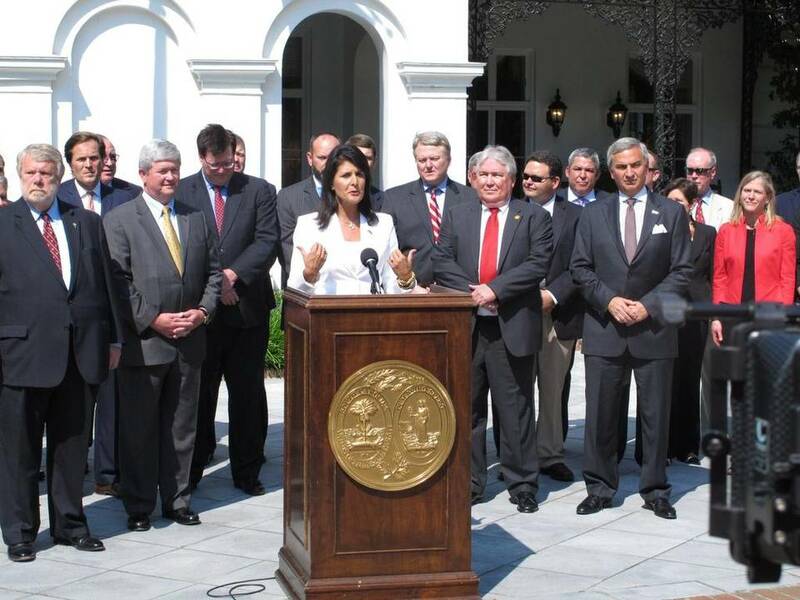 More importantly, we love that they’re now going to be made in South Carolina,” Haley said. The $500 million facility at the Berkeley County timber plantation, which is nearly 40 miles northwest of port and export-rich Charleston. At full capacity, 100,000 cars will be built at the factory each year. Haley credited the state’s workforce for helping land the automaker. Information on jobs at the plant can be found online. Or, if you’re a vendor interested in doing business with the plant, you can find that information on the Commerce Department’s website. So, what is so good about the South Carolina Workforce? Besides being a right to work state, and a nearby good port in Charleston, what else is there? South Carolina has a very good Technical College system with Workforce Training with readySC™, providing well-trained employees to qualifying companies that invest in South Carolina. A comprehensive and customized process, readySC™ includes recruiting, screening and training, tailoring guidelines and curriculum to fit a company’s needs. This is not Crony Capitalism, just concern for a well trained and educated work force. This is the future of manufacturing. Rather than concentrating of University education, the backbone of manufacturing is through Technical College, and even trade schools. Good going, Nikki Haley and South Carolina!